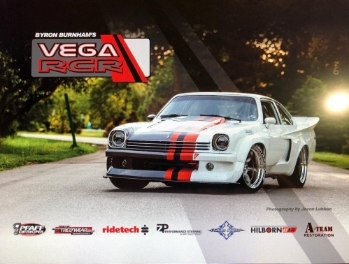 Well, we are in overdrive getting ready for the 2018 SEMA show. There is so much to do! Logistics, hotels, food, swag, and working on the Scraptona. 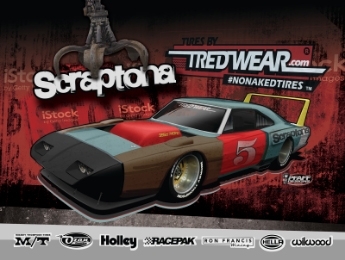 TredWear will have the most square footage dedicated to Tire Graphics at the show. So if you are in the area come on by and check us out! Our largest space will be under the monorail in the Silver Lot at the LVCC. Booth #61019. Joe Holyfield’s Double Agent. This MG is bad to the bone. 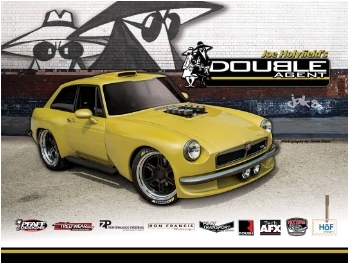 Joe is known for his work on ultra high end racing machines and he turned his talents loose on this MG.
Byron Burnham’s wide body Vega is an exercise excellence. The attention to detail will blow your mind but don’t let this fool you into thinking it spends most of its time on a trailer. This mad machine has been tearing it up on the Optima Ultimate Street Car Challenge. TredWear.com will debut the Scraptona. This rowdy beast was dug out of the woods in North Alabama. While the exterior is “ruff” her R5 P7 engine pushing over 700hp will command respect. No matter where we are in the process of this build it will be at the show. These are just a few of the cars that will be in our booth. So please swing by and check us out. 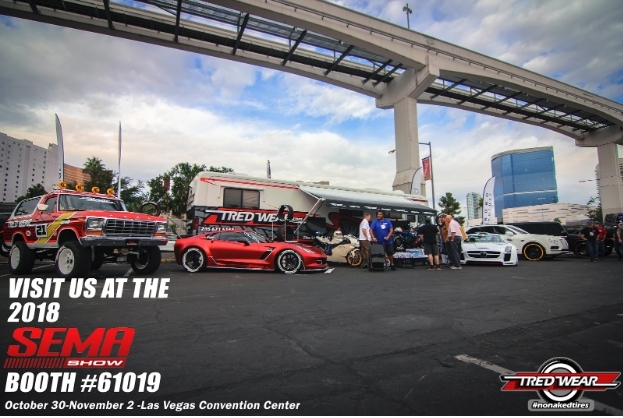 We would love to meet ya and talk about these sweet rides and show you how you can become a TredWear dealer.